Yes, your reflectors need attention. As any grower can testify, more light equals more yield. 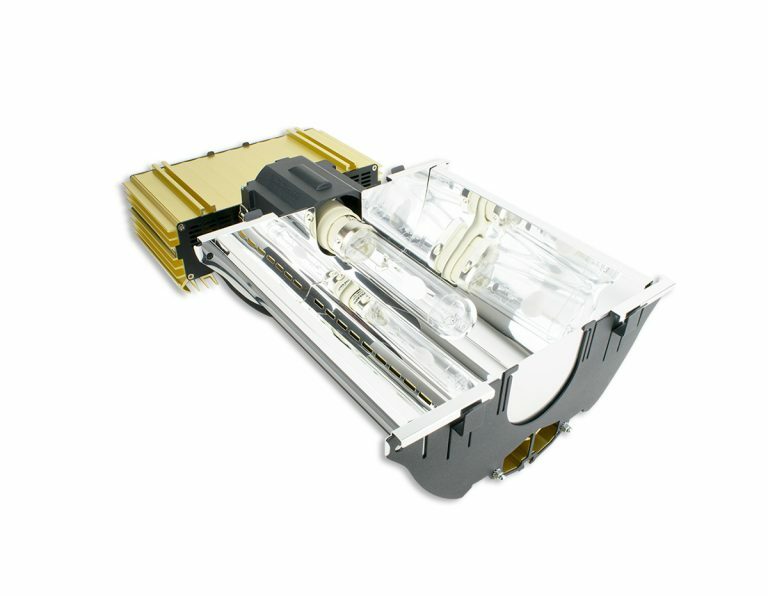 This light is achieved with the best possible bulb and the best possible reflector (DimLux has both! Feel free to ask us why below in the comments). Understanding this, growers go to great lengths to buy par meters, measuring the PPF coming out of their bulbs and spend good money replacing bulbs frequently to make sure the light is optimized. What is often overlooked however, is the reflector which too, plays a vital role in the quality and strength of light going to the canopy. Growers can, and often go multiple harvests without ever considering their reflectors may be losing reflectivity. An easy way to address this is simply by properly cleaning your reflector between harvests. Depending on your room environment, (dust in the air, spray residue, and general room cleanliness) dirt on a reflector can decrease the quality of light by as much as 20%. With such light loss the crop will inevitably yield diminishing returns, and nobody one wants that. Use a 50/50 mix of 70% isopropyl alcohol and RO (Reverse Osmosis) water or bottled water that has been cleaned of minerals. Do NOT use tap water as it can contain unknown minerals or substances. This will scratch the fine mirrored (Miro Silver Aluminum) surface or leave a residue behind.) Make sure you use a MICROFIBER cloth. Do not use paper towels or a bath towel as these will scratch the fine mirrored surface. If after wiping the reflector with solution there is still leftover residue, use another MICROFIBER towel with just a little RO water to remove remaining residue off. In case of heavy dirt build up you may have to do this process a few times to get the reflector back to a clean surface. This is a delicate process and needs to be done carefully. Be gentle and take your time. Remember a clean reflector will directly affect your plants health and vigor. Check your reflectors’ cleanliness every time you complete a harvest. You would be amazed how quickly build up of dirt, dust spray residue and all types of foreign matter can gather on your reflector. It is important to note that even with proper maintenance all reflectors degrade over time. With that in mind and depending on the wear and tear (and cleanliness of your grow room) replacing the reflectors is eventually a good idea. (That can range anywhere between 12 months or more – it depends on your maintenance regiment!) Replacement reflectors are a cost-effective way to keep your light maximized without having to replace an entire fixture. Reflectors are available for sale through all DimLux retailers.